The strategic arms reduction treaty was signed by Washington and Moscow in 2010, and took effect in February 2011. The United States of America and the Russian Federation have implemented the New START Treaty. Washington, United States: The United States, which just unveiled a new aggressive nuclear strategy, has met the limits set on its arsenal under the New START Treaty, which enters a new phase Monday, and reminded Russia to uphold its commitments. It calls for the gradual reduction over 10 years of the number of nuclear warheads held by both sides, limits on the number of delivery systems, a strict verification regime and data exchanges. "The United States of America and the Russian Federation have implemented the Treaty on Measures for the Further Reduction and Limitation of Strategic Offensive Arms (New START Treaty) for seven years," the State Department said in a statement. "February 5, 2018 marks the date that the treaty's central limits on each country's strategic nuclear arsenal take effect." Washington said it had already fulfilled its commitments by August 2017, said the statement issued by department spokeswoman Heather Nauert. Russia has "repeatedly stated its commitment" to the treaty, including meeting the central limits, and we expect our upcoming data exchange under the treaty to reaffirm that commitment." On Thursday, Nauert had said that Washington had "no reason to believe" that Russia would not meet its goals. "Within the next month or so, both countries will exchange their data under the strategic nuclear arsenals, as we have done bilaterally under the treaty's terms for the last seven years," she said. "We hope each country will confirm the compliance of the other as soon as possible after this data exchange." The beginning on Monday of the new "central limits" phase under the New START Treaty comes just days after the Pentagon announced its new nuclear policy. The Defense Department said Friday it wanted to revamp the US nuclear arsenal and develop new low-yield atomic weapons, largely in response to Russian actions in recent years. According to Washington, Moscow is in the process of modernizing its arsenal of 2,000 tactical nuclear weapons. Those efforts are not monitored by the New START Treaty, which only accounts for strategic weapons that serve as deterrents. The treaty was reached under the administration of Barack Obama, President Donald Trump's predecessor. 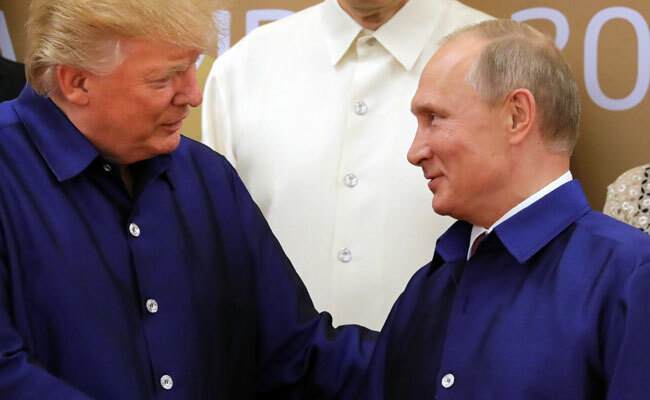 The State Department said Monday that implementation of the accord "enhances the safety and security of the United States and our allies and makes strategic relations between the United States and the Russian Federation more stable, transparent, and predictable." US-Russia ties are strained at best, as the controversy over what US intelligence says was Russian meddling in the 2016 presidential election drags on. The State Department said adherence to the treaty was "critically important at a time when trust in the relationship has deteriorated, and the threat of miscalculation and misperception has risen."